Hey guys! I know I have not posted anything in a really long time but I have been on a buying spree lately and just got a bunch of stuff from Colourpop Cosmetics including their SuperShock Eyeshadows and a Highlighter, their lipsticks, a few lipliners and even their NEW Liquid Lipsticks! 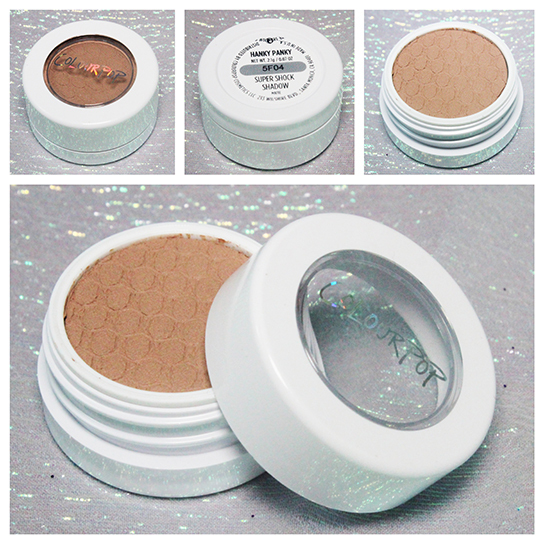 For this post I will be showing you the Neutral SuperShock eyeshadows that I purchased, I will be showing you the brighter shades in a separate post. These eyeshadows retail at $5.00 at www.colourpop.com so lets get into it! Girly - a gorgeous champagne white with gold flex in it. 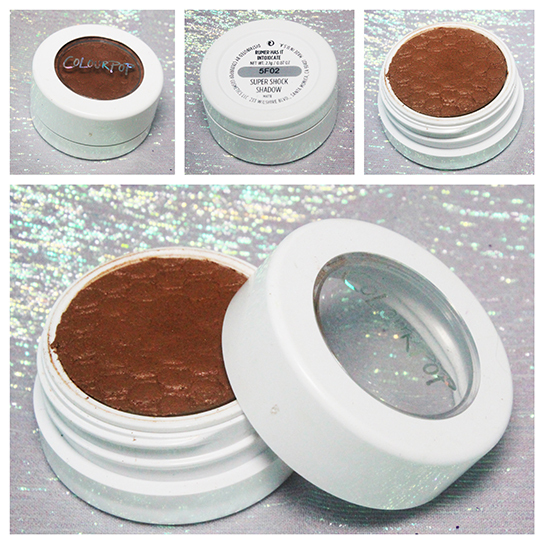 It is the perfect shade for a brow bone/inner corner highlight or as a wash all over the lid. Get Lucky - the most perfect metallic gold shade! 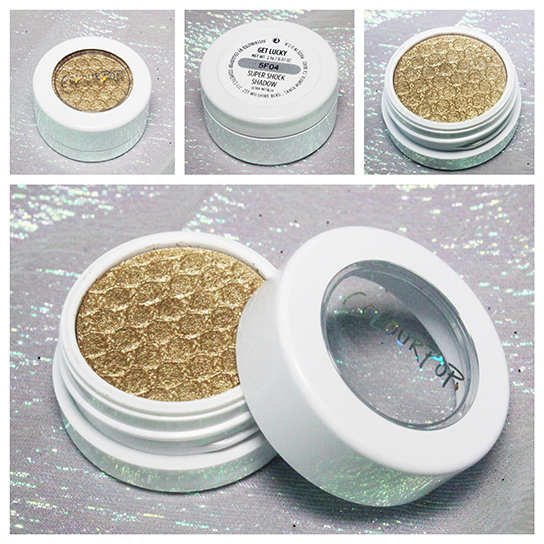 I was really on the fence about buying this one because I already have Sugarpill's Goldilux, but this one is pressed so I bought it and I love it. 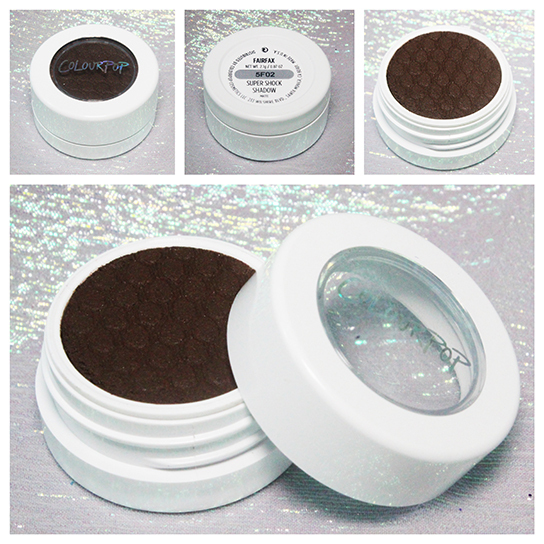 If you are thinking about buying any of these shadows, buy this one! Game Face - (side note - I have used this shadow for some time before I photographed it) the most amazing golden orange copper metallic shade. 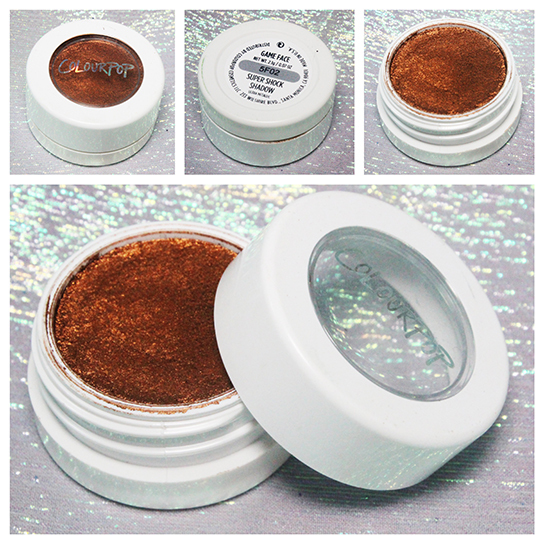 I swear this is the most beautiful shade for all over the lid if you are going for that warm bronze eye look. Love this shade! Hanky Panky - I bought this one because Makeup by Jesi aka MesiJesi uses this all the time in her videos and it is pretty but it's not one of my favorites. I would like it a lot more if it was a bit warmer, it is a little too cool toned for me. 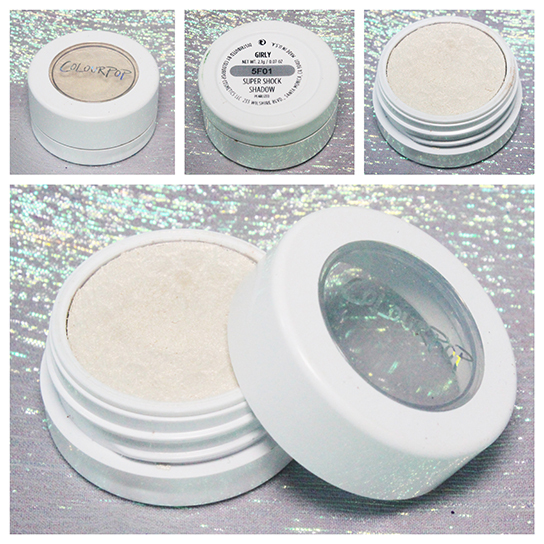 It is a Matte shadow and is great as a transition color or a blending color. To-A-T - I really like this shade but I think I like Intoxicate more. They are very similar and you do not need both. 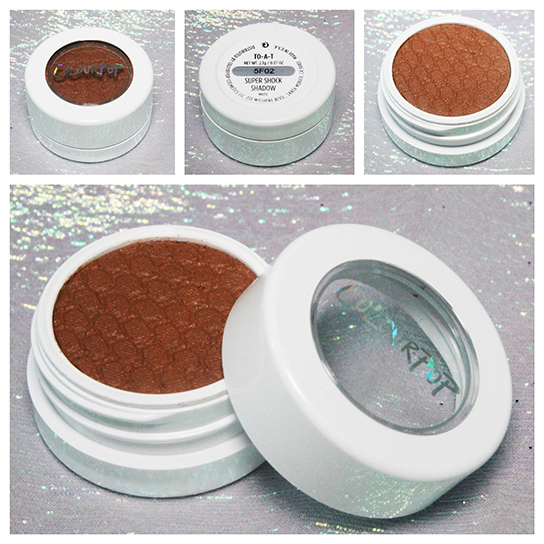 It is a warm brown crease shade - matte finish. Intoxicate - This is so similar to To-A-T it is ridiculous, when I was shopping online I thought that they were different shades of brown, but no they are the exact shame. Don't buy both. Bandit - a nice dark warm brown perfect for the outer v. matte finish. love this shade. 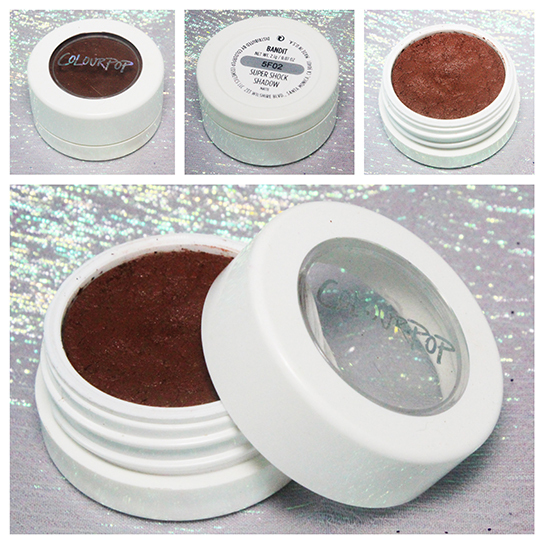 FairFax - a cool toned black brown really good for the outer v or smudging out eyeliner, matte finish. 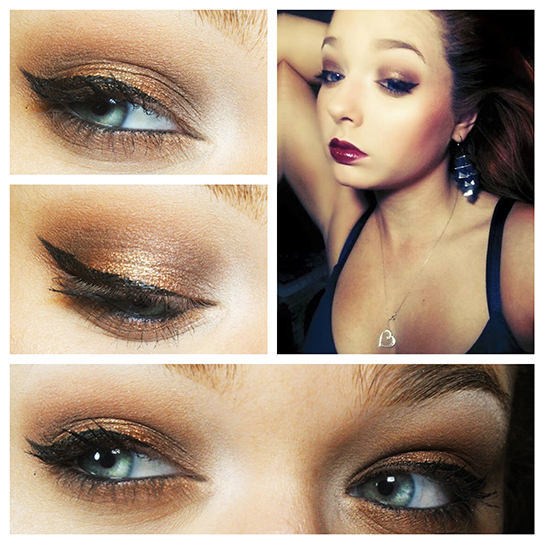 So for this look I used Get Lucky and Game Face on the lid, Girly as a highlight, To-A-T all over the lid, Bandit in the crease, Fairfax in the outer and inner v and Hanky Panky to blend. My eyeliner is Elf Liquid Eyeliner and Sephora Waterproof Contour Eye Crayon in Black Lace on my waterline. My blush is Elf Mineral Blush in Cabo Cabana, Bronzer is Elf Mineral Bronzer is Caramel Cabana and my Highlight is Elf Bronzer in Sunkissed and Elf Shimmering Facial Whip in Golden Peach. 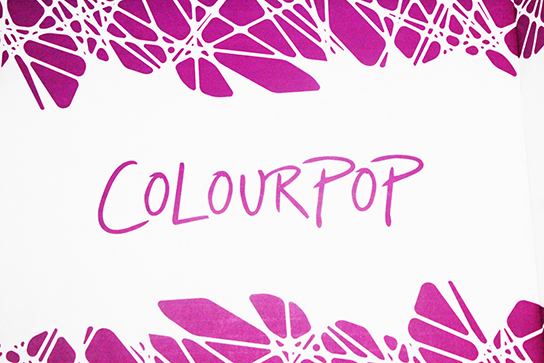 I hope you guys enjoyed this post and I cant wait to show you the rest of my Colourpop goodies! Too bad you didn't like Hanky Panky! It was one that I bought in my first CP haul and LOVE it. I think I'm putting Get Lucky on my list for next time.